Go ahead and wrap your box with the black construction paper. I really just wrapped it like a gift. I reinforced the seams with packing tape, but that isn’t completely necessary. Once it was wrapped I cut a slit in the top of the box for the valentines to go in, I did this with a knife (maybe a bit unsafe). I made it pretty big thinking incase someone handed out candy that would fit in, as well. Once it’s wrapped, use the white paper to cut out a heart for the head and a semi circle for the belly… You can draw these with pencil and let your child cut them out, or if your child is older, they can draw and cut themselves! 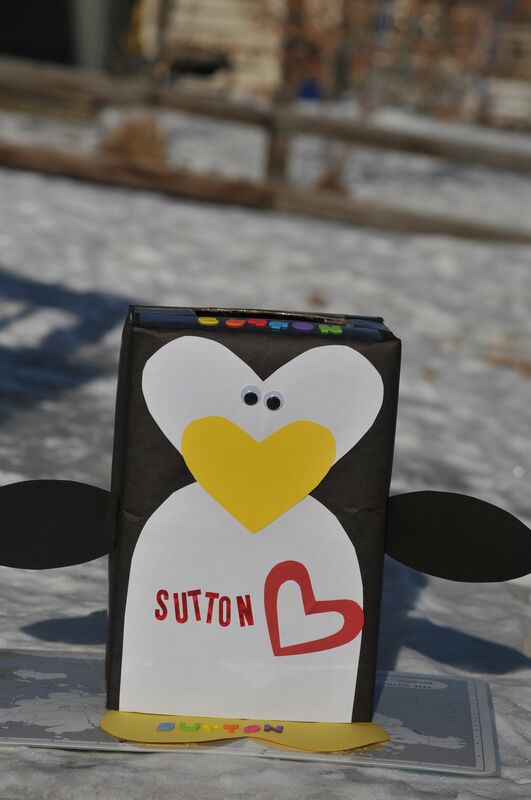 We used yellow (we were out of orange) for the heart shaped beak and the heart shaped feet… Use the black paper to trace and cut wings. I let him find the stickers he wanted for the front of the penguin. We also put his name with puffy stickers on the top of the box so kids could see it from that vantage point. Sutton cut and glued everything on himself (he is 5) and did the stickers himself too. We ended up stapling the wings on because they kept falling off :). He had a great time and although it’s not the perfect depiction of a penguin I think you can definitely tell what it is! 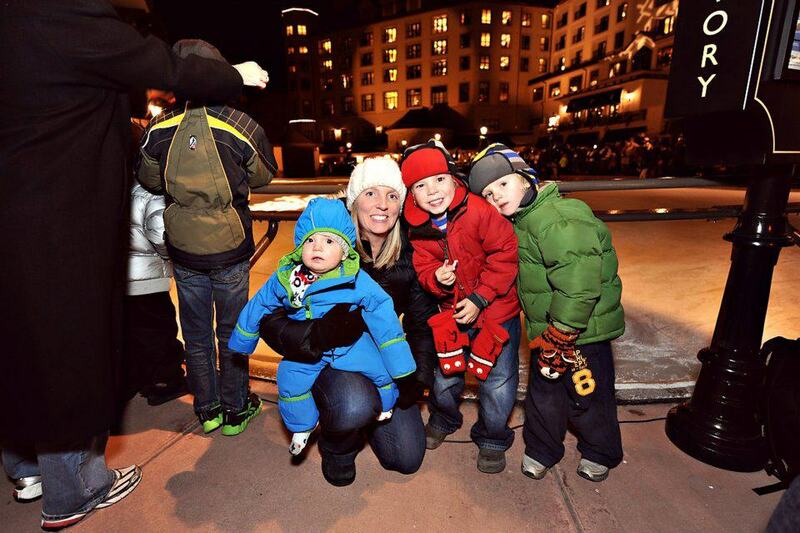 If your child is a bit penguin obsessed like mine, then this is perfect for you! I’ve been surfing on-line greater than three hours today, but I by no means discovered any attention-grabbing article like yours. It is lovely value sufficient for me. Personally, if all site owners and bloggers made just right content material as you probably did, the web might be much more helpful than ever before. 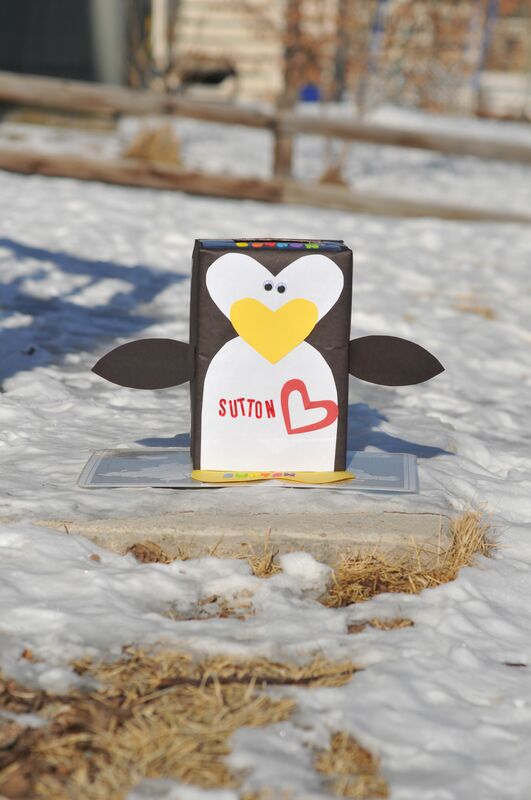 Thanks for the inspiration of the “Penguin valentine box”. 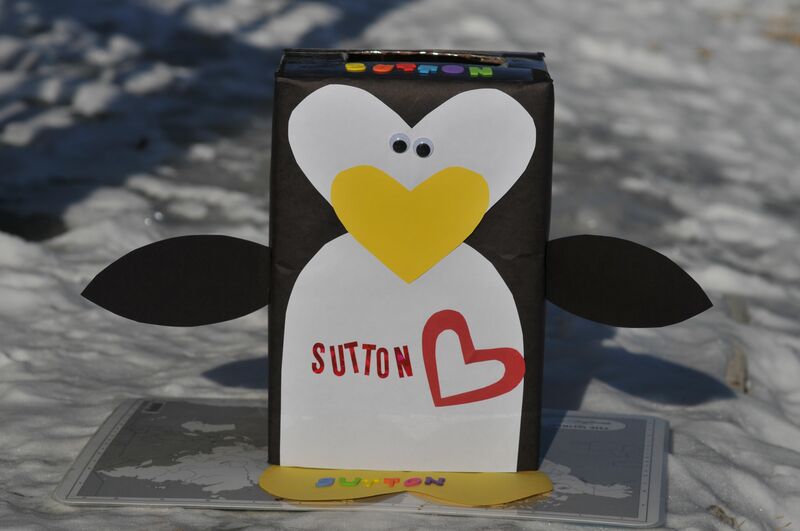 My son is also very interested in penguins and thought this was the most awesome box he had ever seen. He is “6” and is in kindergarten. I helped with the cutting – but he did almost everything else on his own. His penguin was a big hit with the buddies in his class. THANKS AGAIN. There is really no time for extras on a school day, so I told him that I’d make him a new box to take to school today. He was instantly happy. I am so happy that I found your great post. Unfortunately, I didn’t have any construction paper and couldn’t get it at night, but I DID have paint, so I painted white paper with the various colors. I didn’t get to bed until 1:30, but it was completely worth it to see my son’s face this morning. He was SO THRILLED with the box. The only thing that would have been better would have been if he could have worked on it with me. Ah well, next time.